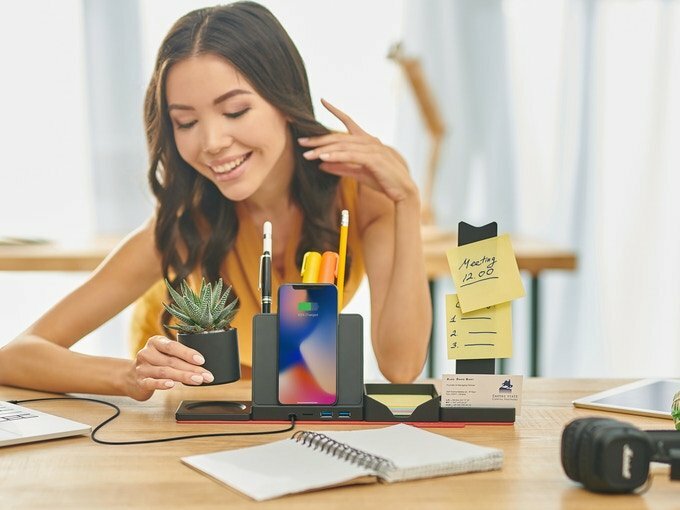 Grovemade is known for their innovative take on accessorizing your tech products, with everything from monitor stands for your MacBook down to speakers and even chargers for your iPhone. But one thing we’ve been waiting on the brand to make accessories for is the Apple Watch. And now Grovemade’s new Apple Watch dock adds a fresh take on making sure your smartwatch has power. When I arrived at my first CES, I quickly discovered that the long days and congested cellular networks caused my phone’s battery to lose its charge in no time. We raced around looking for external batteries. From a design perspective, the Coal Portable Charger is a throwback to the external batteries of that time. But that’s only part of the story. The Scosche MagicGrip Charge Qi-Mount promises to put a different spin on charging your device on the go. Anker has just introduced the Roav Bolt, yet another of their cleverly crafted mobile accessories. The Roav Bolt is essentially a multipurpose car charger that is designed to bring Google’s Voice Assistant directly to your car, so you’ll no longer have to say “Hey Google” to your smartphone while driving. Scosche is much more than their car accessories. If you’ve been following their CES announcements this week, you know that Scosche has a lot in store for 2019, but you might be really intrigued by how they plan on keeping your home device charging organized with the Scosche BaseLynx Modular Charging System.